January 2019 If the message doesn't display, open it in browser. 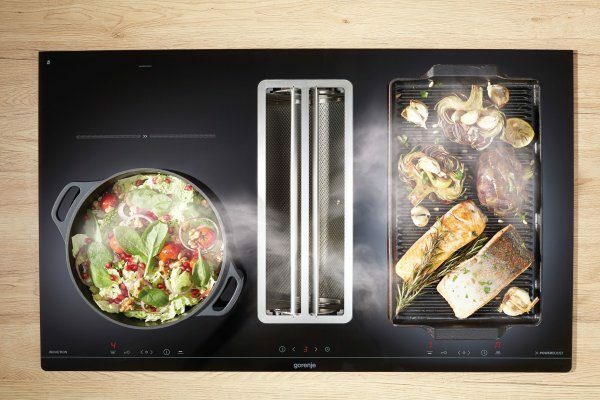 Meet the new OmniFlex hood-in-hob, kitchens' real eye-catcher. Made of high-quality materials and offering lots of options for cooking with enough headroom for juggling pans or peppers. We have prepared some marketing materials, just check out the links below. If you need anything else developed, let us know and we'll make it happen. Thanks! For local adaptations of the landing page please contact our partner AV studio: gorenje-tasks@av-studio.si. Please also include Andreja Šober from the Digital Marketing department (andreja.sober@gorenje.com) in copy.